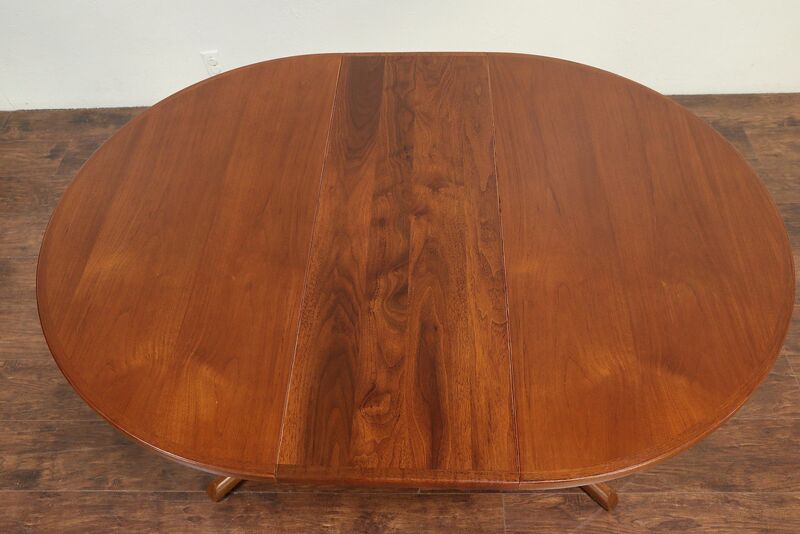 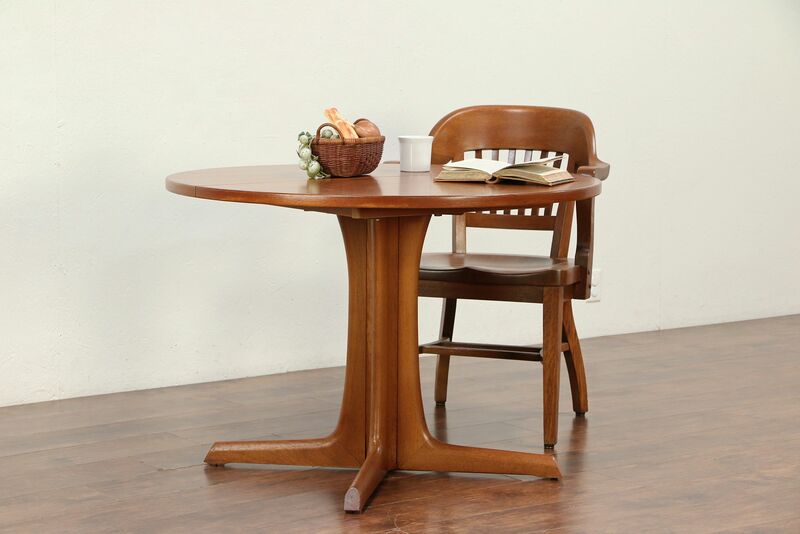 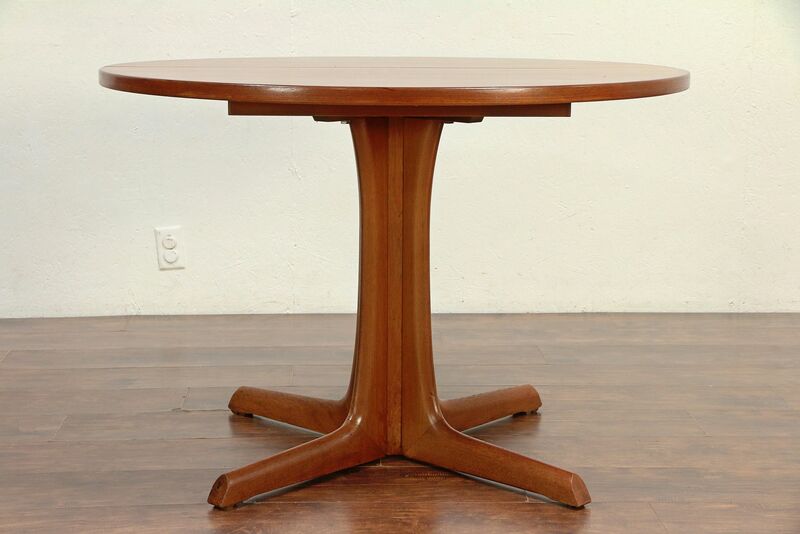 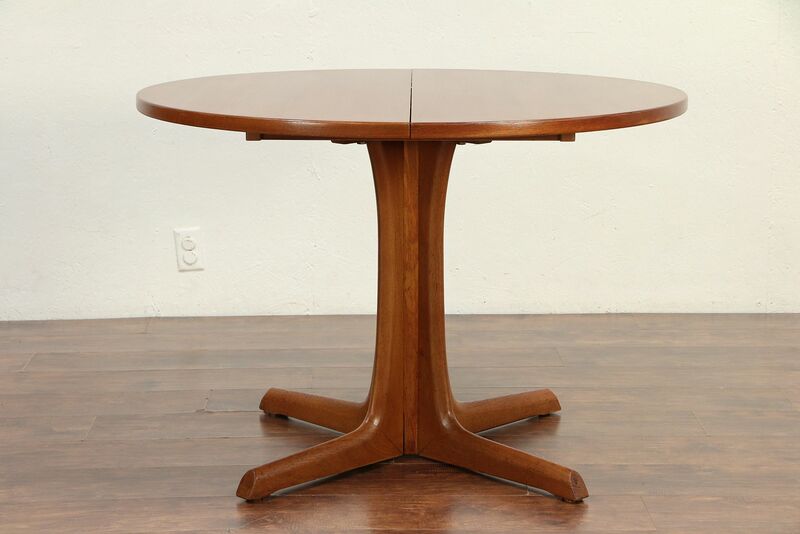 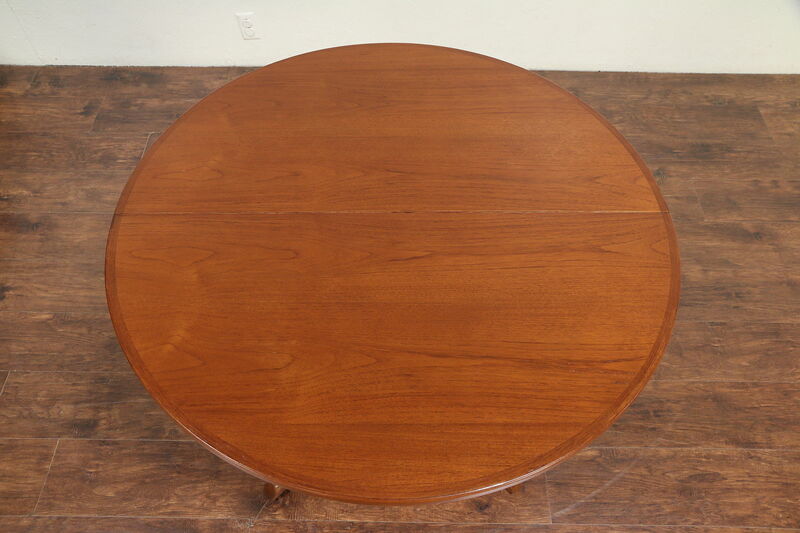 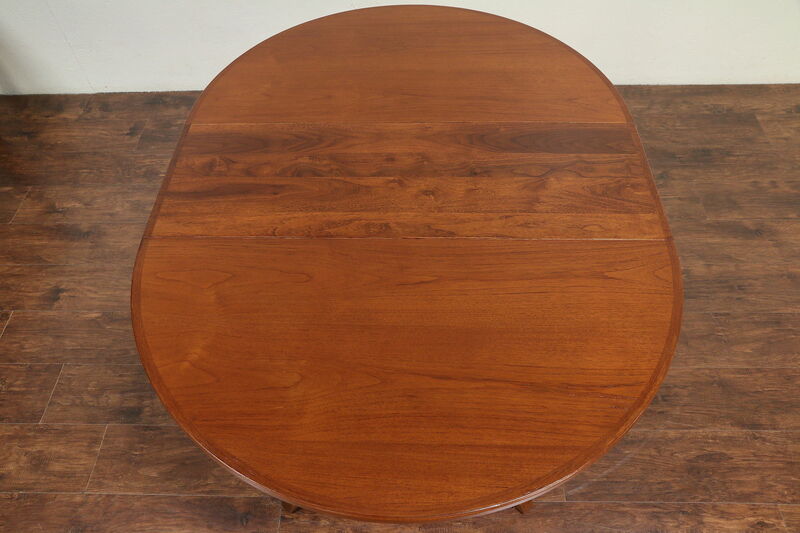 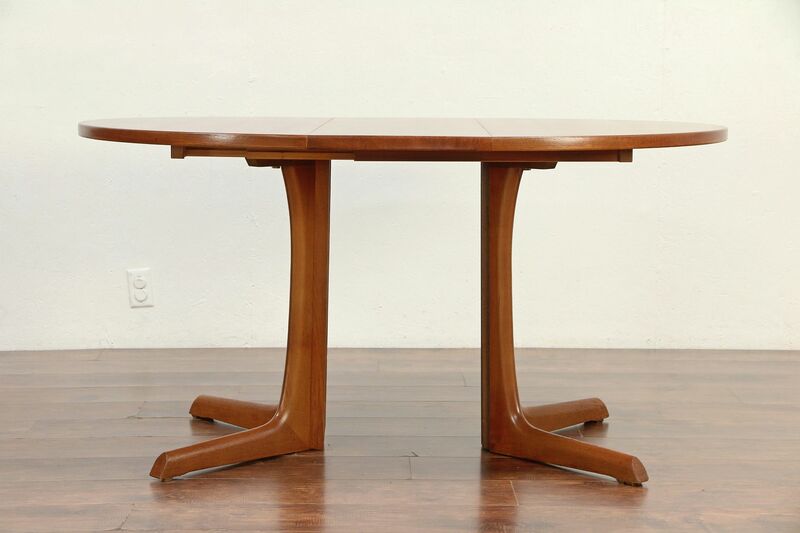 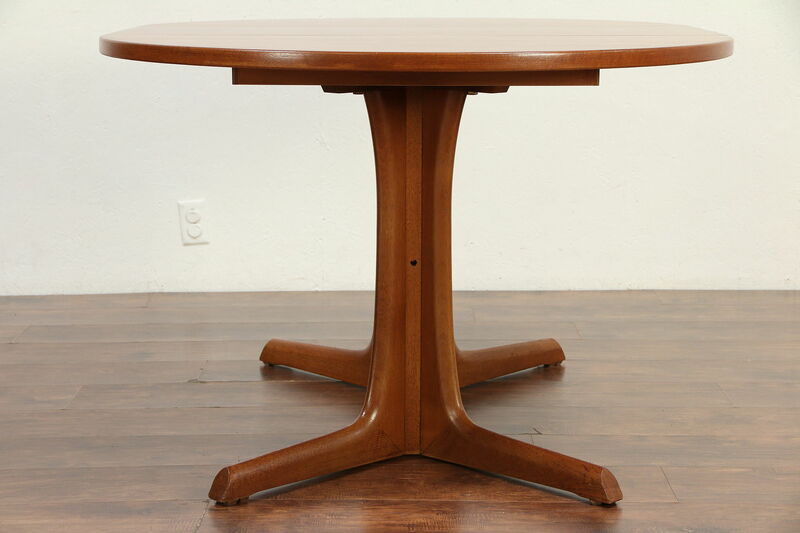 A round Midcentury Modern teak dining table with one leaf is signed "Gudme Furniture Factory of Gudme, Made in Denmark." 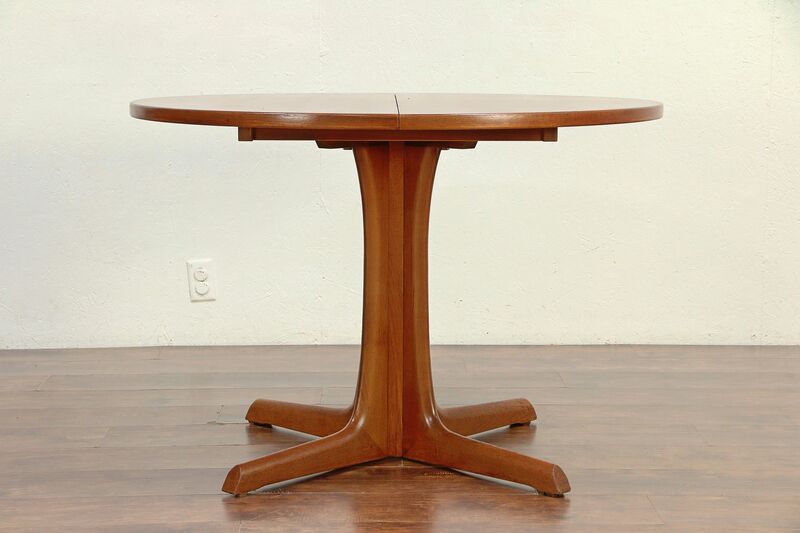 The gracefully curved pedestal "splits" to extend for stability. 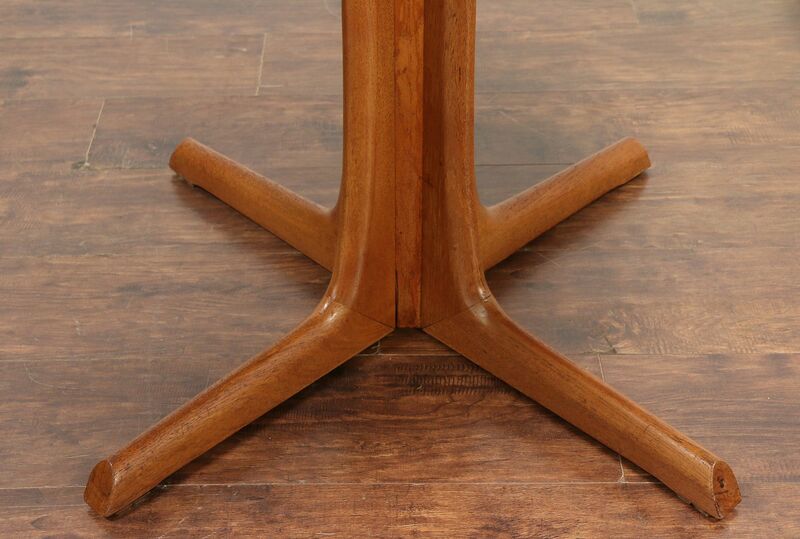 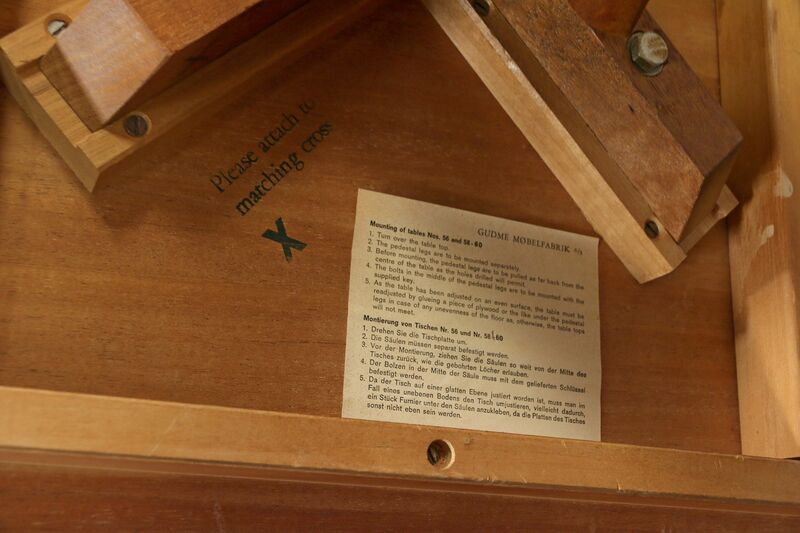 The restored satiny finish is in excellent condition on this 1960's vintage furniture. 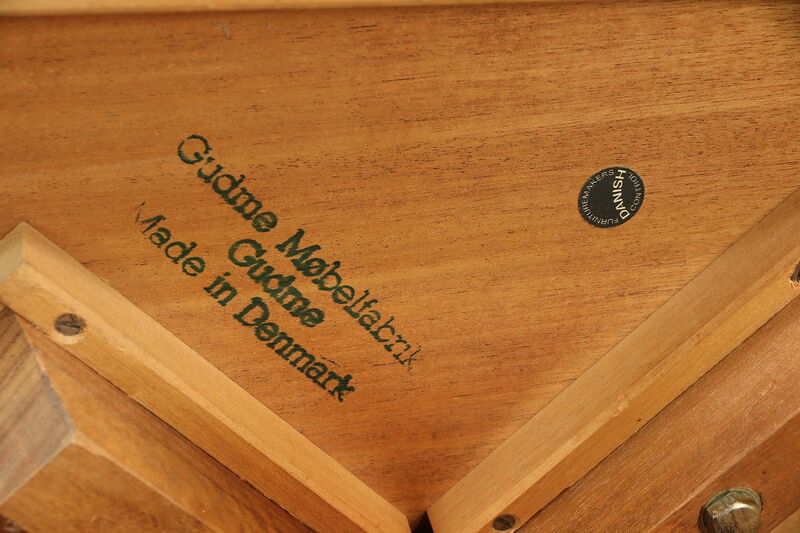 Gudme is west of Copenhagen in the middle of Denmark. 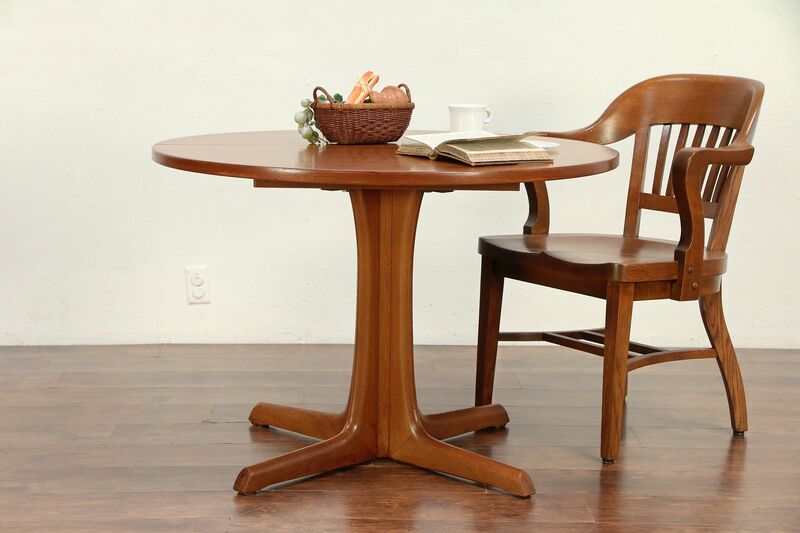 Size is 41 1/2" across, 28 1/2" tall, and with the 13 1/2" wide leaf in place, length is 55" overall.